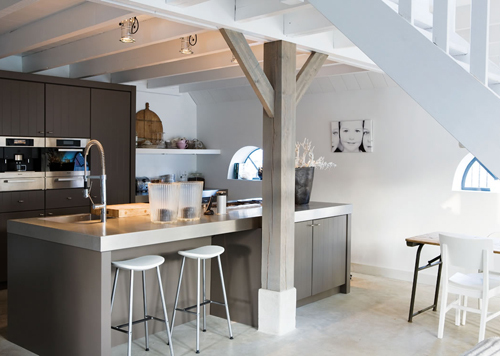 This renovated farmhouse is located in Weesp, a small city not far from Amsterdam. The owners have completely renovated the house; it was very dated and worn out when they bought it. Living in a former farmhouse myself, I know that it can be difficult to renovate and decorate such a house as you want to keep the authentical style but at the same time have the comfort of a modern house. The owners of this house have done a great job! The owners have mixed old elements with new details. I love for example the old army table in the kitchen (you can see it in the top image at the far right) which is combined with new chairs. 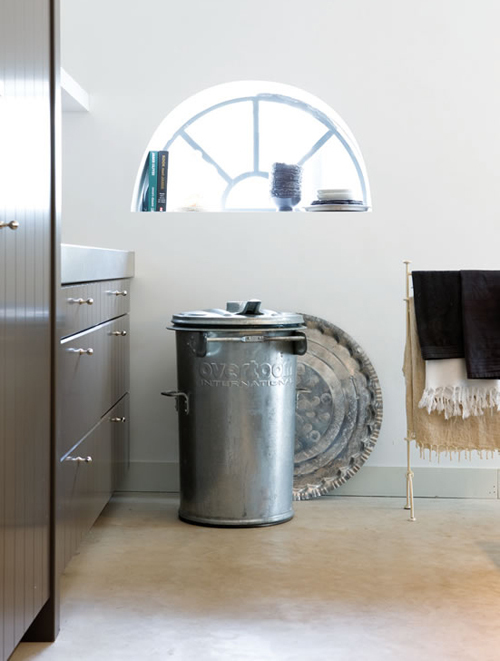 Loving that large waste bin! What a great kitchen, love the moody grey with white. 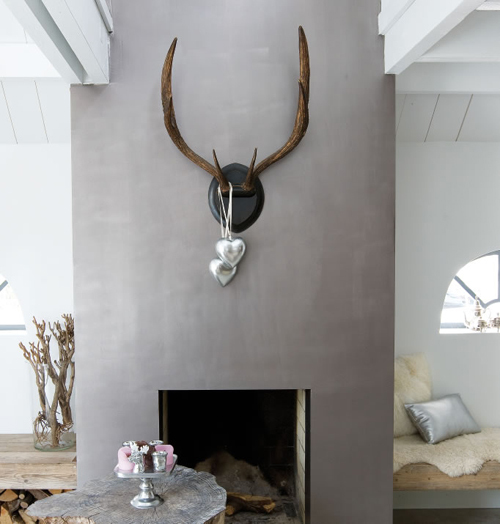 The fireplace with rustic built in benches is amazing. This place is amazing! I have a weakness for modern farmhouses. Love the grey accents on the walls. wow. i love it all. 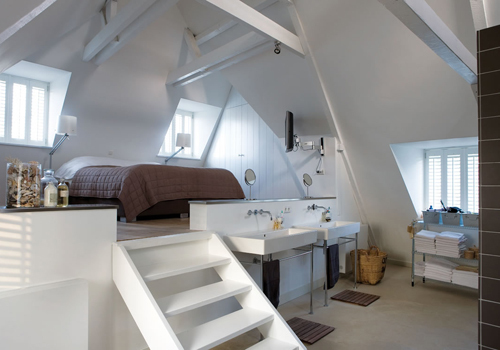 i love that mini loft. so cozy, and uncluttered. I’m in LOVE with this house. You’re inspiring me to finish the painting I started on the weekend……. I’m in love with the fireplace! Love love love love the beams and loft in this house. I love everything about this place. I just don’t think I could pull off the completely non-cluttered living! I absolutely love the design of this farmhouse. It’s a perfect – not at all overwhelming – mix of old and new. absolutely fabulous!! rustic, but clean!! Love the styling, mix of old and new! Wow… the facade is so cool. And I’m loving the minimalism of white and grey. WOW! I love these tones, good inspiration for my future bathroom ! love the big bw picture on the white wall too. I love the Whole Beautiful House, but please tell me the color on the fire place! It is the most fantastic color! Hi, I’m a big fan of your blog. Do you know where I can find similar bar/kitchen stools as the ones above in white?